For Matte and satin finishing, dent removal, light de-burring, smoothing of edges and angles. The continuous refreshed surface provide stable finished, high efficiency and durable use. These are multi-layered compressed net structure of non woven fiber and abrasive grains. Suitable for polishing brass, copper, Aluminium, Carbon steel and Stainless Steel. 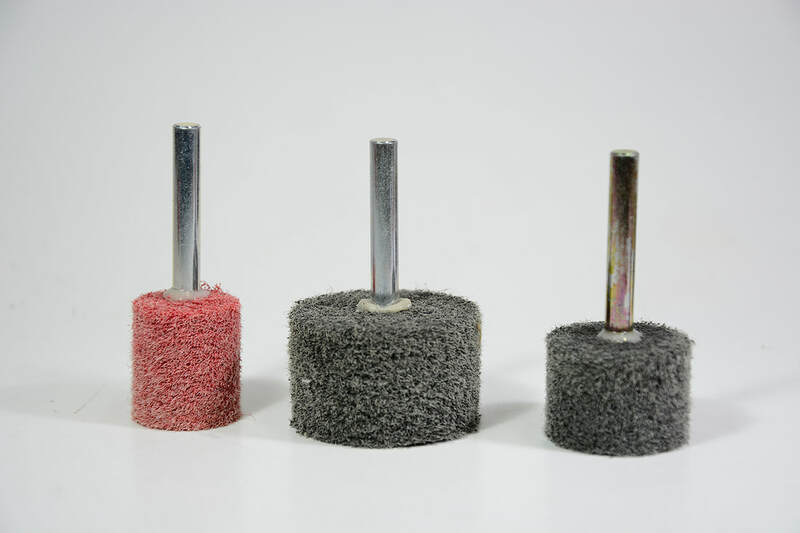 Made by winding nonwoven abrasive layers over a central core. Ideal product for heavy and light deburring of auto components and other machined parts. 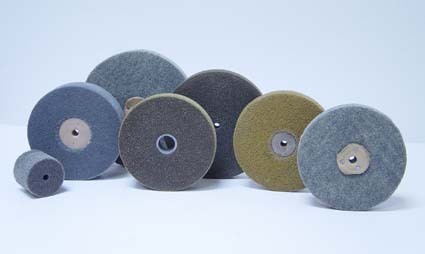 Suitable for blending and polishing hard metals and alloys like Titanium or Stainless Steel.